In 2009, as a young freshly married couple we jumped into our family western wear business with hopes of continuing to build a business that would be set apart from the average western store. With my love for fashion and all things Texan and Travis' country roots we built a business that we could call our own. 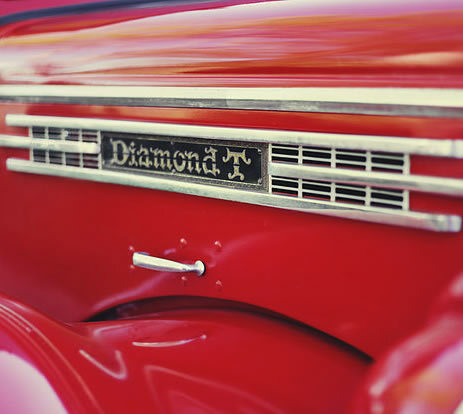 On April 1, 2012 Diamond T Outfitters officially came to life with its own image in the western world. We are family owned and operated; the epitome of a Mom and Pop store; with hopes of passing this gem down generation to generation. As of August 2014 Diamond T Outfitters is nestled at our (new to us) downtown Mount Pleasant location inside the original 1920's era Post Office, turned Public library, turned Diamond T Outfitters. We are the perfect mix of western and mainstream clothing, bringing you the classic western and work wear along with the hottest trends in the western and fashion world. We hold true to our small town values and promise to try to bring you an enjoyable shopping experience. We truly appreciate you. Thank you for shopping with us!